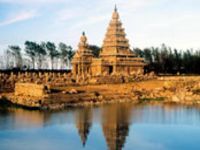 Arrive in Chennai, meet your Manoyatra representative and drive to Mahabalipuram. Upon arrival check in at the hotel. Spend your time at leisure, later return for night stay at the hotel. After breakfast Start your day with a visit to Arjuna's Penance. Located in Kancheepuram, a UNESCO World Heritage site, Arjuna's Penance or Descent of the Ganges is a giant monument, consisting of intricate carvings on two monolithic boulders. It depicts the story from Mahabharata, when Arjuna (one of the Pandava brothers) performed deep penance to achieve Lord Shiva's weapon. And it also depicts the descent of Ganga to the earth. 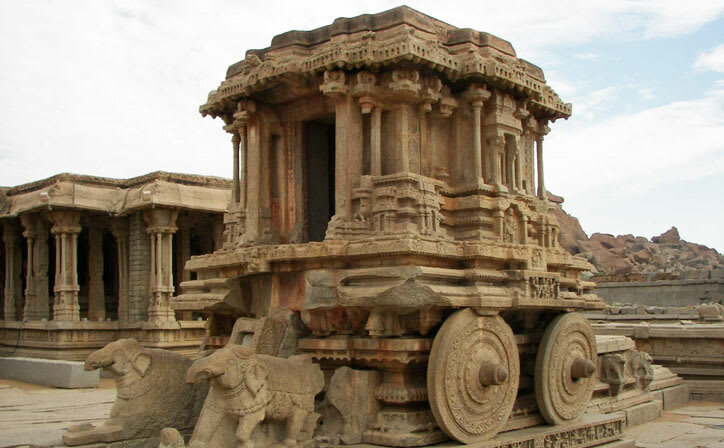 Next move to Pancha Rathas, a set of five glorious rock temples in the shape of rathas or chariots. These rathas are splendid examples of the Dravidian style of architecture. Decreasing in size according to the age of the Pandava brother they are named after, they contain carvings and reliefs of various Hindu ancient characters. Later, see Shore Temple, a magnificent stone shrine, overlooking the Bay of Bengal. 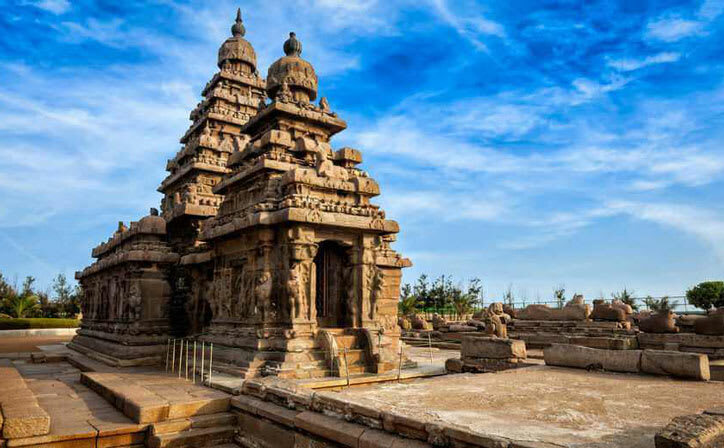 The temple is a compound of three shrines, constructed by the Pallava dynasty. Two of the shrines are dedicated to Lord Shiva and the third one to Lord Vishnu. Its large and marvellous sculptures, including those of the presiding deities, Nandi, Goddess Durga and Kartikeya, attract a large number of tourists. Also as part of this sightseeing venture, see Tiger Cave. Named so due to the carving of tiger heads on its exterior, this cave shrine is said to depict an incident from the life of Goddess Durga. 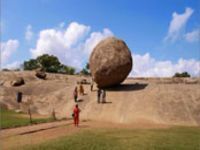 Thereafter, visit Krishna’s Butter Ball, a huge rock about 5 metres in diameter, balancing on a hill slope. It is quite popular with tourists and locals alike as an interesting backdrop for clicking photographs. In the evening, return to the hotel for a comfortable overnight stay in your room. 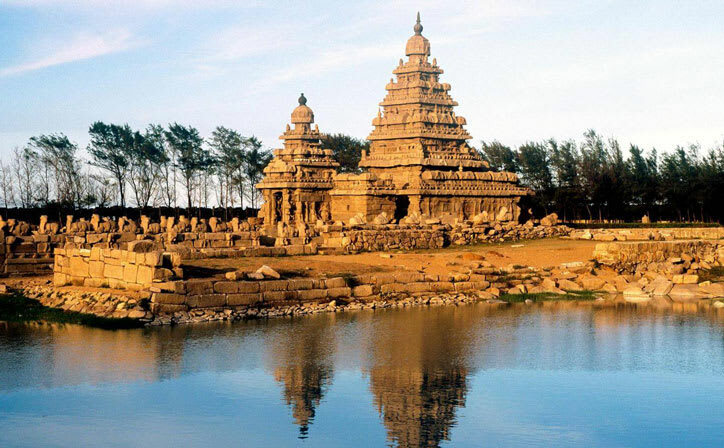 The beautiful city of Mahabalipuram is located in the Kanchipuram district of Tamilnadu, not far from Chennai. It is a historic town with a rich collection of sculptures and temples among other attractions. The city, under the Pallava rulers, developed a distinct architectural style that contributed greatly towards the advancement of the Dravidian architecture. Many of the monuments in the city have great significance. 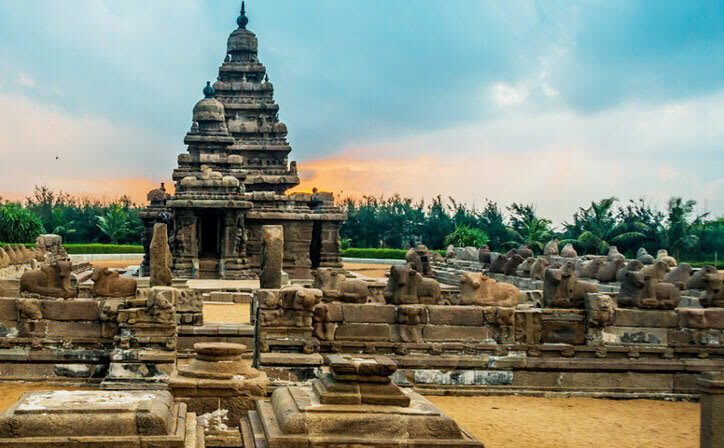 The Panch Rathas, made from granite rock, named after the Pandavas, Thirukadalmallai the temple of Lord Vishnu and the Sculpture Museum with many stone and wood sculpture are some of the main attractions in Mahabalipuram. This magnificent masterpiece, Shore Temple, located along the coast of Bay of Bengal captivates every traveller. This granite built pagoda provides a picturesque contrast with usually a clear blue sky and its azure sea making it a must visit attraction. 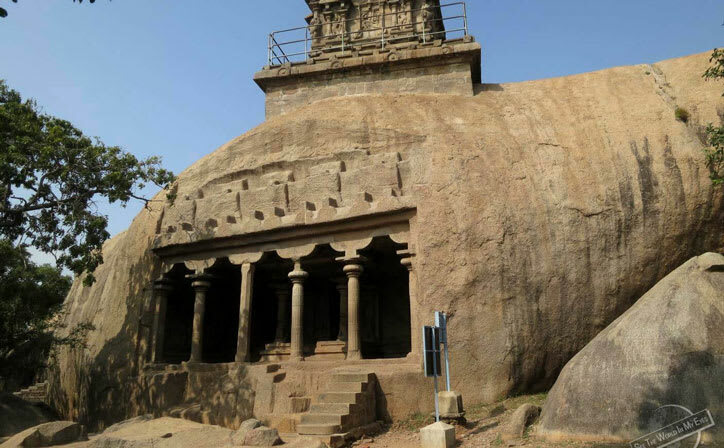 Krishna’s Butterball is a gigantic granite boulder and is one of the best places to see in the town. For the fact that, efforts were put to bring down the rock by using seven elephants, this 16 feet tall rock stood on a short slope without a hitch. 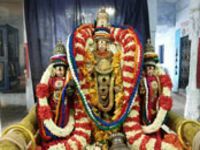 Thirukadalmallai or Sthalasayana Perumal Temple is one of the 108 popular temples dedicated to Lord Vishnu. 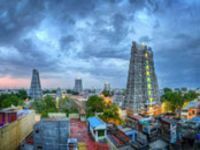 This shrine is designed in Dravidian Pallava style architecture and it still holds festive offerings and religious activities.